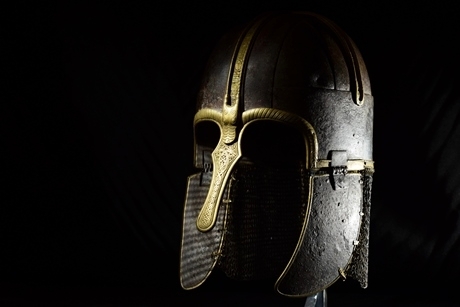 A new exhibition that focuses on Vikings will be opening this May at a number of museums across the UK and will be suitable for school visits. The exhibition, Vikings: Rediscover the Legend will be opening on 19th May at the Yorkshire Museum. Other places on the exhibition tour include the University of Nottingham in Nottinghamshire, The Atkinson in Southport, Aberdeen Art Gallery, in Scotland and Norwich Castle Museum, in Norwich. All museums that the exhibition will visit welcome school visits and offer learning resources. The exhibition will feature what is said to be the most significant Viking treasure hoard ever discovered in Britain. It will display some internationally significant Anglo-Saxon and Viking discoveries too, as well as focus on how Vikings transformed life in Britain. Key objects from the British Museum will also feature alongside collections from the Yorkshire Museum and will be interpreted in new ways to give a fresh perspective on how Vikings shaped aspects of British life. Also on display will be research done by archaeologists and new discoveries by metal detectorists. More details of the exhibition are to be released soon. The York Art Gallery, York Castle Museum and the Yorkshire Museum & Gardens form the Yorkshire Museum Trust, and all of which offer art, science and history workshops for schools for Key Stage 1 to Key Stage 2. School visits are welcome at the Yorkshire Museum and to Vikings: Rediscover the Legend and groups of more than 10 pupils benefit from special rates when booking. The exhibition is delivered by the Yorkshire Museum in partnership with the British Museum. For more information, visit www.yorkshiremuseum.org.uk.